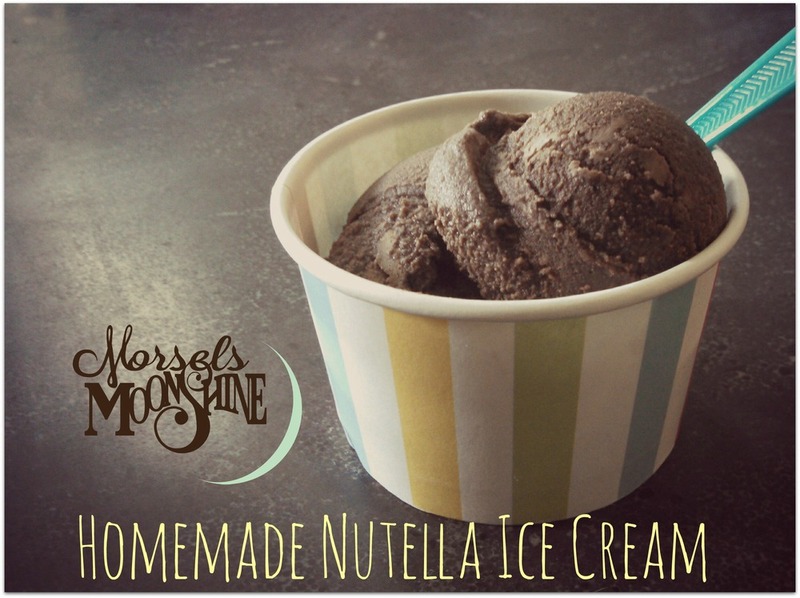 If you made my Boozy Knockoff Nutella, you know that it's delicious. What could be better? Perhaps transforming it into ice cream?! In a blender, combine the ingredients and blend for about one minute. Pour the mixture into your ice cream machine and churn as directed. For mine, I churned it for about 20 minutes and added one crumbled biscotti, and then churned it for another 5 minutes. Once it looks like soft-serve, it’s ready to be scooped out into a freezer-safe container. Let it harden in the freezer for at least 4 hours. This ice cream tastes the best the same day, but you can continue to enjoy is for days to come! Place a layer of parchment paper on top to avoid freezer burn. When eating it after the first day, be sure to let is soften on the counter for about 20 minutes and run your scooper under hot water before scooping. I promise – you will NOT be disappointed!